A classic anti war protest pin. 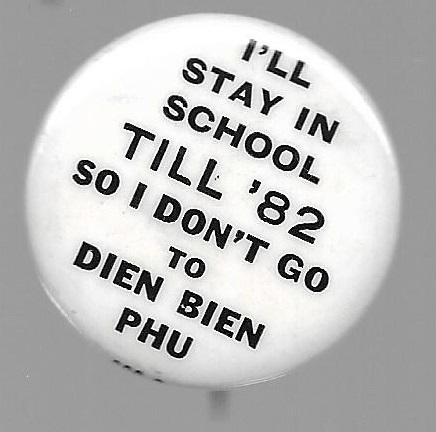 This 1 1/4 inch celluloid from the Vietnam War era says, "I'll stay in school till '82 so I don't go to Dien Bien Phu." Excellent condition.